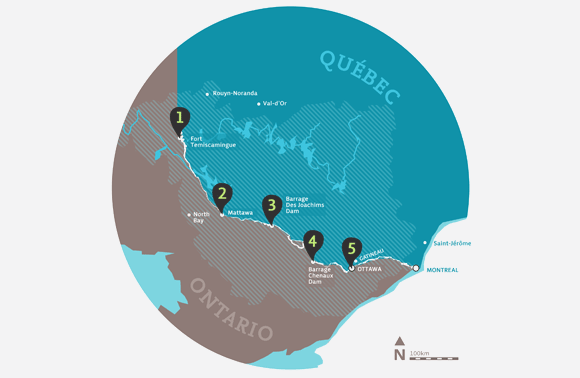 The Great River Project was an event in 2011, organized by Ottawa Riverkeeper to document the health of the Ottawa River and to expose a wide audience to the cultural and ecological heritage that the river represents. I designed the identity for the event that was in keeping with the branding of the parent organization. 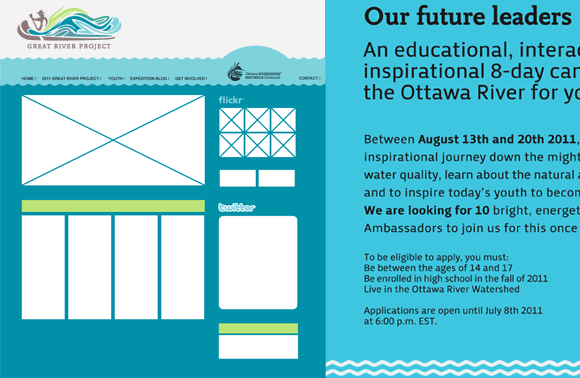 In addition to the identity, I designed advertisements, flags, canoe decals, and other promotional materials for the event.